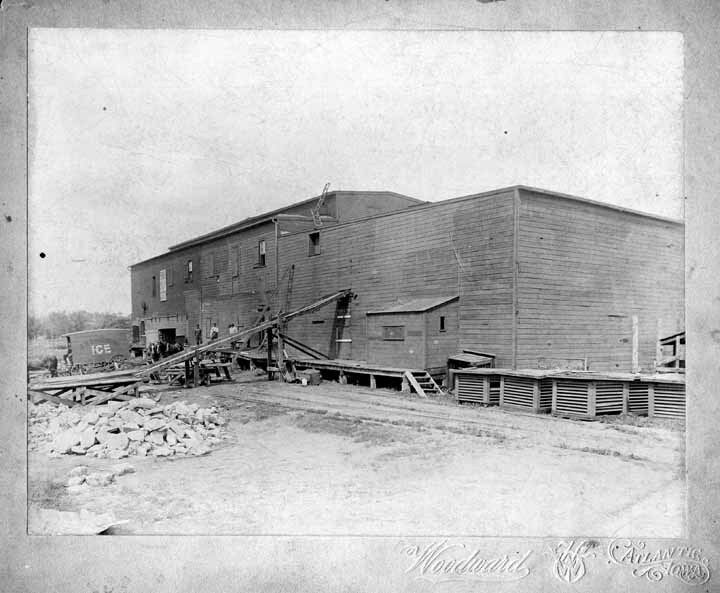 Atlantic Ice House, circa 1890. Photo contributed by Carl Malone, who writes: "My grandfather Durr drove the ice wagon in Atlantic until 1893. He lived at 1003 Laurel and my mother grew up there. He told mom that the ice house was northwest of their house at 1003 Laurel." Contributed September, 2016 by Carl Malone.